If we’re going to unlock the full potential of 3D printing we’ll need to fundamentally rethink the design process, writes Sarat Babu, founder of Betatype. You can now build complete full-sized, complex aero or medical parts in one go using AM, reducing the timescales and materials costs over more traditional design and engineering processes. 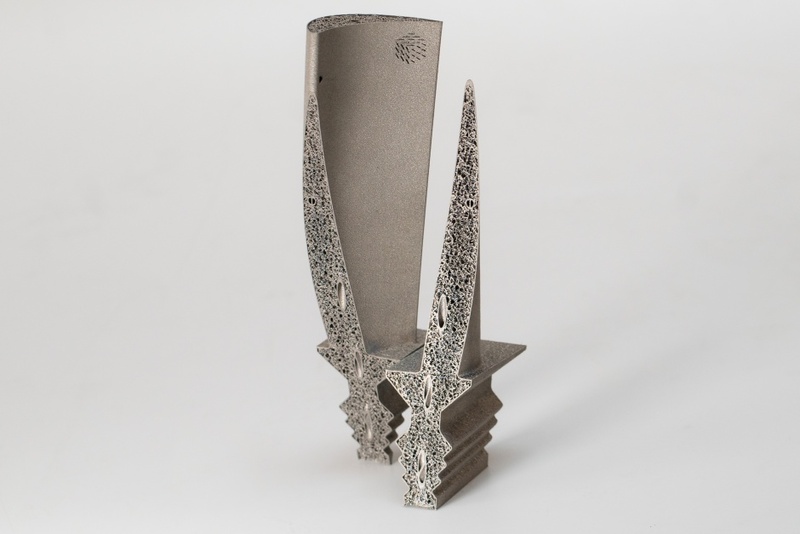 This evolution is now helping to drive new designs and innovations in these sectors and while it is a laudable achievement, we now need to look beyond these traditional, ‘legacy’ sectors to ensure the importance of additive manufacturing technology. Understanding what novel things we can do with the technology is often overlooked. In consumer-focused industries – such as sports equipment and consumer electronics – additive manufacturing is still nascent and finding applications that maximise the value of the technology can be a major challenge. While a focus on developing new AM technologies is important, understanding what novel things we can do with the technology is just as critical and often overlooked. This is precisely why AM needs to stop focusing solely on technology and start thinking more about design. In many ways AM’s history as a rapid prototyping technology has led to a bias in machines, tools and methods which focuses on trying to simplify the process of moving from design to part. While this is fine for prototyping, it robs designers of developing a deeper understanding of these technologies – which makes exploring their real capabilities a difficult task. By applying an in-depth understanding of the technology and pushing its boundaries, we have seen that the depth of control that is possible in AM is far greater than most traditional manufacturing processes. The complexity that AM affords isn’t just around the shape of the part but also the material its constructed from. 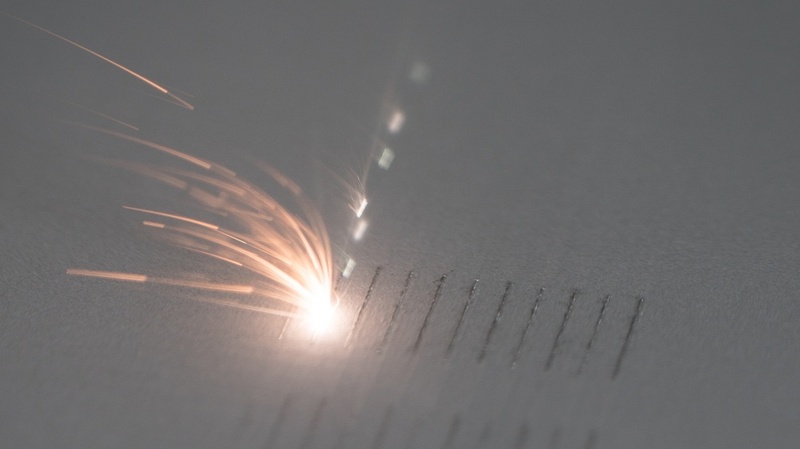 For example, laser powder bed fusion is one additive technology that has established itself as a viable for production of metal parts. It uses a very fine laser or electron beam to scan across a bed of powder that is deposited in layers, melting specific regions to form the part. In the production of a typical part, the beam can travel hundreds of kilometres, delivering millions of exposures – every single one of which could be individually addressable, allowing for far greater design complexity. What can make AM particularly challenging is that it requires a completely different approach to the methods many companies currently employ to develop parts. In these ‘non-legacy’ organisations new to AM, materials are often an afterthought in the design process. AM, however, turns the material into an additional dimension that needs to be addressed right at the design concept stage. This means that industrial design, mechanical engineering and material science need to work in concert to navigate the freedom and complexity that AM can provide. While it is a daunting task for companies to think about re-building their design processes, we find ourselves working with more and more companies that are ready to embrace new ways of design and explore what AM has to offer. Interestingly, an increasing number of these companies are consumer-focused. From consumer electronics to cycling, there is a growing interest in AM from sectors that have often been ignored. The relentless pace of innovation and complexity in these industries is often a powerful driving force to engage in new manufacturing process and new ways of building parts that can give them an edge over their competitors. 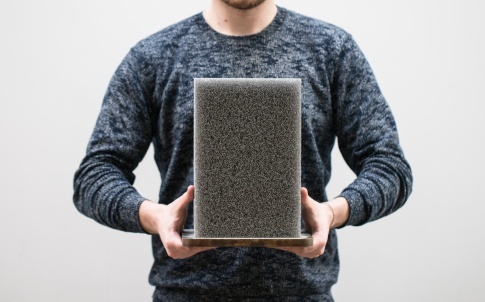 Despite its history in traditional manufacturing industries, we are still in the early days of AM with respect to the impact that it can deliver both technologically and conceptually. Accepting that new ways of designing parts is the first step. From there, we need technology that can help us deliver on the promise of complexity. One of the big challenges here is that software really needs to be informed by the entire process from design to production. On the design side, we need tools that help us to explore the design space, unconstrained. We are still in the explorative stages of this – application engineers need to be able to wield the technology fully. On the manufacturing side, we need technology that is optimised to deliver the complexity we’re trying to achieve. When you begin to reconceive every facet of a design, you really start to unlock what AM has to offer. We’ve built technologies at every stage of that process and through strong partnerships with our customers and the machine manufacturers we’ve been able to build parts that are really pushing AM forward both in complexity and in end part cost. One thing we can say with certainty is that for manufacturing applications, things are only getting more complex. There are vast arrays of software tools, modular AM machines and new AM processes being developed. Where AM ends up exactly remains unclear, but for designers and engineers, AM is a chance to re-explore the narrative of what it is to design and make. So while the destination remains unclear, there has never been a more exciting time to engage with it. Dr Sarat Babu is a materials scientist and designer, and CEO of additive manufacturing software specialist Betatype Ltd.
To hear him speak in more detail about geometry, design-led thinking and Laser Powder Bed Fusion, register for this year’s Additive Manufacturing and 3D Printing International Conference, 11th-13th July.